Sponsored by PetSmart Charities®, “Beat the Heat” provides $20 spay surgeries for female cats. January 27, 2015 - Calverton, NY - Warmer weather may still be months away, but the Kent Animal Shelter wants you to “Beat the Heat” by spaying your cat in advance of her heat cycle and preventing unwanted litters from being born this spring. 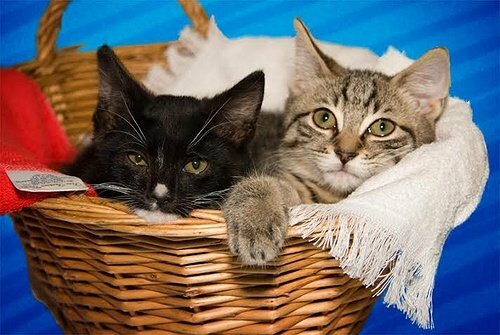 Animal shelters commonly refer to spring time as “kitten season” because that is when they receive the largest influx numbers of unwanted litters that are difficult to adopt. That’s why the Kent Animal Shelter is offering a special “Beat the Heat” campaign sponsored by PetSmart Charities, the largest funder of animal welfare efforts in North America Through the “Beat the Heat” campaign, the Kent Animal Shelter will provide $20 spay and neuter surgeries for female cats during the month of February. This special $20 rate is even less than the organization’s normal low-cost price and is available to all residents of Long Island. Cat parents who wish to take advantage of this offer must mention the “Beat the Heat” campaign when they schedule their appointment. This campaign is based on availability. Please visit www.KentAnimalShelter.com or call (631) 727-5731 for more information or to schedule an appointment. PetSmart Charities’ “Beat the Heat” campaign provides more than $598,870 to spay/neuter clinics to fund affordable, high-quality spay and neuter surgeries for 17,488 female cats across the nation during the month of February. Kent Animal Shelter is a 501C3 organization established in 1968 in Calverton, NY that provides a no-kill haven for homeless animals, adoption services, a spay/neuter clinic, and humane education. More information is available at www.KentAnimalShelter.com or by calling 631-727-5731. Subject: LongIsland.com - Your Name sent you Article details of "Cat Owners Should “Beat the Heat” Before Spring With the Kent Animal Shelter’s Spay/neuter Campaign"